Welcome Blog Hopping Friend! I appreciate you dropping by to see what I have created. I tend to be a wordy writer but I know you have many stops to make on this bead journey so I will try keep my comments short today. The main creation, with the big beautiful peacock feather focal and the copper leaf toggle clasp. From the soup I used the leaf beads, the green & orange faceted crystals, the sari silk and the I added the large link copper chain and the aqua crystals from my stash. What to do with the leather cord? and all those fun but random bits? 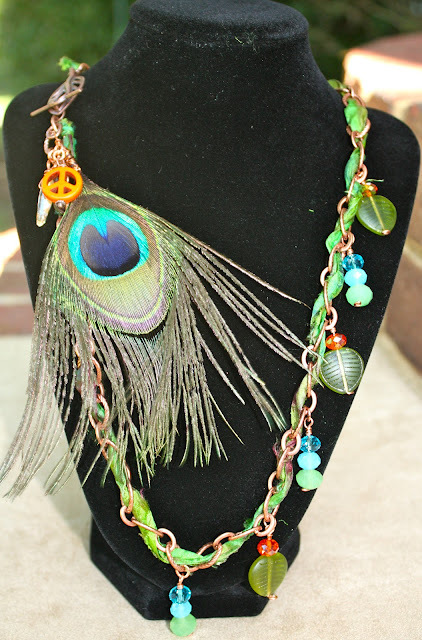 Add some turquoise colored wooden beads and a few peace signs to create a youthful charm necklace. Thanks to Lori Anderson for allowing me to participate, Thanks to Shanti Johnson for being so generous and thanks to YOU for visiting. 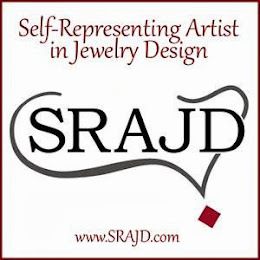 I would LOVE to have you as a follower to my blog and I will return the favor if you let me know. 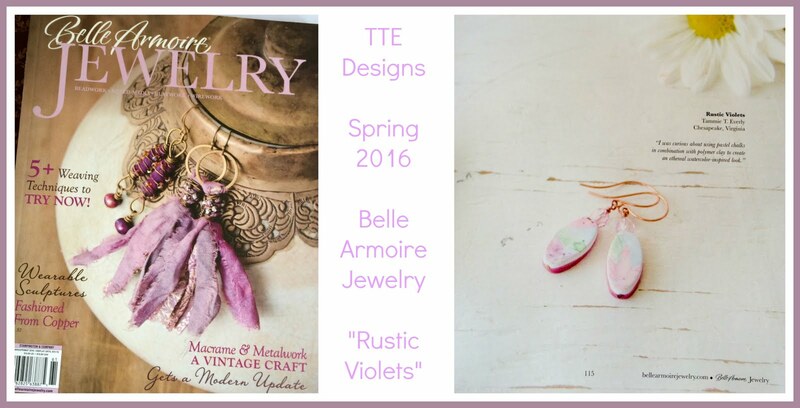 These items will be available, please message me at tammie@ttedesigns.com if you are interested. Please follow the link to hop along to our other talented friends listed there! Wow! Tammie. That is a dramatic piece of necklace! I love how you place the peacock feather to one side. All the other pieces look so fun and summery. Oh wow, you made it so delicious with the peacock feather on the side!! I like it a lot! Great designs! I especially like the peace charm necklace set! Beautiful designs! I love that peacock feather in the first piece. The colors in all the pieces are just wonderful and so perfect for summer. OK, in your bio you say you're a baby of the '60s. I can so see that in your pieces :-). I love the peacock necklace - it's got such a care-free, laid-back, and too cool vibe - and the use of peace signs. Every piece seems so sunny and happy - if that makes any sense. They wouldn't look out of place at Woodstock, or Glastonbury. Great work! Amazing how removing the orange peace charm changes the whole look. Love your work. That peacock necklace is a statement! I wish I could wear something that bold, it is so pretty! Love the orange bracelet, and I'm glad my daughter didn't see the last necklace, she would so beg for it! Oh wow, you did a great job pulling it all together, such fun summery pieces! Such great designs! Love the multi-strand piece! You've created some really nice pieces here! I would have been stumped with that feather but you really went for it. Well done!! Beautiful necklace with the peacock feather. Very creative and pretty. Peacock necklace is the best!!!! Congratulations! The vibrant colors are great! Beautiful! 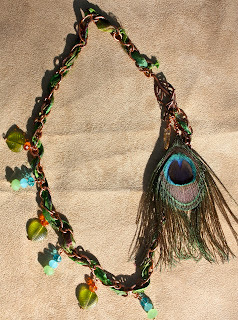 What a great way to use the peacock feather focal... that necklace will turn heads! Great designs all around. That first necklace is a real show stopper ! Stunning use of all your soup goodies!! Love what you made with that peacock feather - what a statement piece! Love the rest of the goodies you created! oh I LOVE the peacock necklace. Very awesome design. Oh how completely cool that peacock feather is! And I LOVE the yellow coral! You did a marvelous job! Oh Wow ! Those are gorgeous!! I think the coral stick bracelet is my favorite! Ohh I am so in love with that orange coral bracelet. Such a fun, vibrant mix of colors! Great job. All your pieces are fun summery designs. I love the 3 strand coral bracelet and all the peace sign set. How original, I like them !Congratutaltion ! They are wonderful ! the first necklace is a beautiful statement piece and I just adore the coral stick bracelet and the leather cord necklace. Well Done! WOW! I love them all, but the one with the peace signs... AMAZING!! Great creations!! Very cool necklaces, colors are fantastic!! 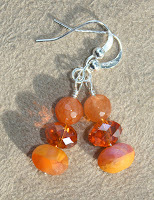 beautiful designs, they remind me of summer fun! I love all of them! I really the one with the peacock feather. The necklace with the peacock feather is really amazing! Wow, love the necklace, brilliant color and design! Wow! That peacock feather focal is wonderful and you did it great justice with that necklace. I like it both with and without the peace sign. And that bracelet with the orange coral is spectacular. I love them both. But they're all great pieces. Just started following your blog. I have my reveal in the third group. Love the peacock necklace...cool! Nice job with your bead soup! Love your fun colorful pieces! You sure rose to that challenge! Fun soup and fun pieces. I like them all! I love your pieces they are funky and beautiful! My favorite is the orange coral stick bracelet so cool! I am a follower of your blog now, besides designing jewelry, we have being a child of the 60's and being Catholic in common. U know i think u made it seem like u do these designs all the time! So beautiful what u did w the feather *a challenge u made seem effortless! Sorry for delay response its the first day ive had off to comment! I love orange and green and you worked them so well! I really like the way you incorporated the peacock feather too! What fun. I love how you incorporated the peacock feather! And your charm necklace is so much fun! Great soup. What a challenge that peacock feather must have been and you answered teh challenge well. All your pieces are great, but I especially like the coral bracelet. You made some beautiful pieces. My favorite is that orange coral bracelet. I love orange. Great job! Juicy! Very pretty designs! Id never be able to wear a peacock feather like that-my kids would have it in tatters.. But I love how it looks!! Your necklace is so very lovely and what a fortuitous coincidence that you have used a peacock feather.... I have MANY feathers and was walking by them the other day thinking I should use them in some jewelry. You have inspired me to work with them now. Thank you for your wonderful comment on my blog, you really should work out of Denise's book. I'd love to see what you create! Love the colors and design. All your pieces are lovely. Using the feather would have been a great challenge for me...you did a wonderful job! Oh, I absolutely LOVE that peacock necklace, and the coral sticks bracelet as well! I have some blue coral I loved but have never gotten around to using, and I may just have to do something similar :-) Great job!! Your pieces are beautiful. I love your designs, using that feather would have been a challenge for me, you pulled it off beautifully. Wow! very creative & unique. Oh my goodness these are just stunning creations with such great use of colour, I really love them. They are all lovely pieces. I particularly love the coral necklace and the contrast of the dark green beads. Love the peacock feather necklace, and the peace charm necklace is very cute and summery! That leather cord necklace is so fun! i love the first set. What a fantastic way to showcase the peacock feather. My absolute favorite is the coral bracelet and earrings. Great soup!